Such fairness have I ever seen, On tender stilts and blades like steel Of greens and yellows, of red-tipped reeds Standing boldly in rain, gently swaying in breeze. What name do they call you, Whose song do you sing, Do you speak of the aging seasons, Have you a message in your wisps woven? “They call me Kaans, or Kansh, and Kasha I sing of the clouds that retreat beyond And I speak of the sun, glaring over the plains And I rise to bid farewell to the last shimmer of rains.” Kaans (Saccharum spontaneum) is probably the most beautiful grass of central India. 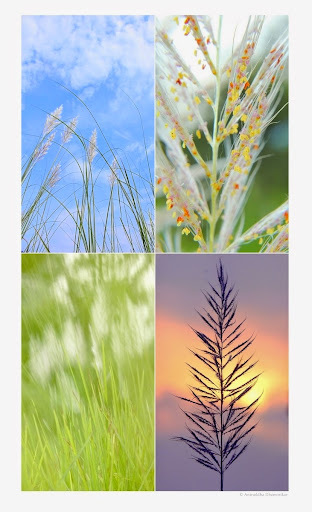 One can see fields of their fair-spikelet swaying in the cool monsoon breeze in meadows and paddy fields, as if someone planted them there to adorn the green monochromes of rice. Bhoolandara is not what you think it is. If you know Hindi, you might guess that it has something to do with bhoolna (meaning, to forget, or to go astray). If you think it means doorway-to-forget-things, you’re pretty close, but not exactly. There is a phenomena called going-in-circles when lost in a forest, I don’t think it has any specific English name (in Maharashtra it is called chakwa, in Madhya Pradesh Bhoolandara), but research has concluded that we intend to walk in a circle if we’re lost without the sense of direction; why or how, we’re still figuring that out. 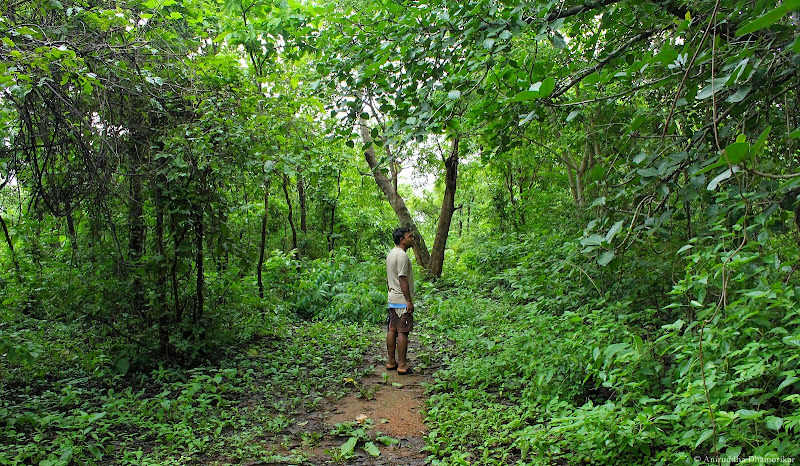 I’ve never been lost in a forest in true sense, once a friend and I took an off-beaten track with the intentions of exploring something unexplored, but we ended up in a village where we had began. On this occasion, though, we were truly lost – and I might say hopelessly.